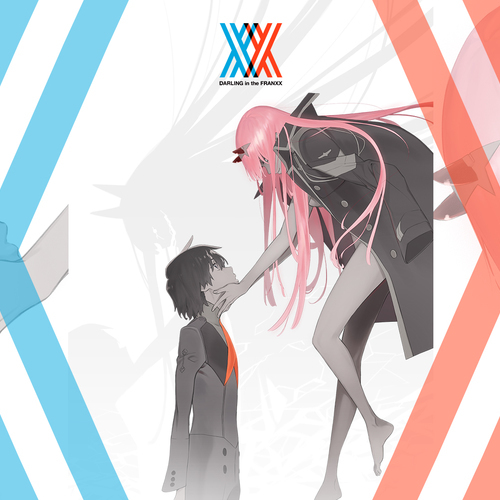 This is a fun Darling in the FranXX Abridged series which will not only just be on the anime, if all goes well we will try to expand into maybe playing games while still being these beloved characters. 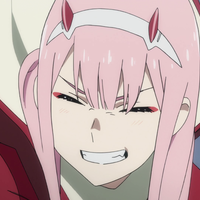 Zero Two's personality is described to be dangerous yet alluring, I would highly recommend to watch the anime itself to understand how she acts and how she speaks. She acts rather bored most of the time except when around Hiro. An honor student seen as a natural born leader. 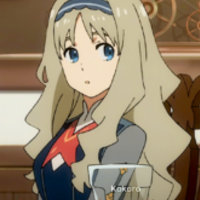 She is childhood friend with Hiro and cares about his well being, despite her cool demeanor. Her FRANXX partner is Goro. I would recommend watching the anime so that you can understand the character more. The way they act and the way they speak. she is serious yet caring, she is the leader of the squad and will close herself if she has too. Goro has an upbeat "class rep" personality. He's a talented pilot and seen by many as one of the most well-valued parasites in Cerasus. He's old friends with Hiro and Ichigo. 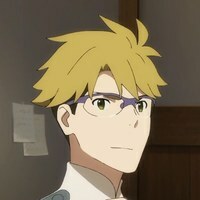 His FRANXX partner is Ichigo. Like the rest of these characters i would recommend watching the anime so that you can get a feeling of who they are exactly. Recommended between medium or low he is a young adult that is reliable and level headed. 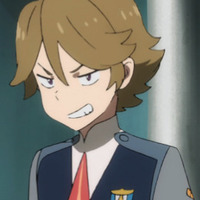 Zorome is an emotional character, but this trait doesn't make him unlikable. A bit childish at times, but has a heart that resonates strong with most people. 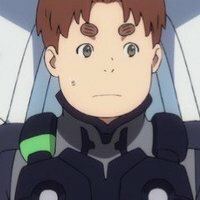 His FRANXX partner is Miku. He appears to want to prove that he is better than the 'double digits' that seem to be considered as 'elites' when it comes to being Parasites. He thinks highly of himself and is quite childish. A beautiful, spunky girl who boasts style at the seams. She has a bright and innocent exterior, but has a tendency to be selfish in order to sway situations in her favor. 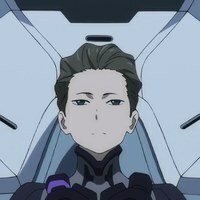 She is a rather sweet girl who is childish in an innocent way unlike Zorome. [Suddenly hugged which made her slightly embarrassed] W-what's gotten into you? A very gentle soul with a kind personality to match. She doesn't speak too often, but when she does her words are well thought-out and meaningful. 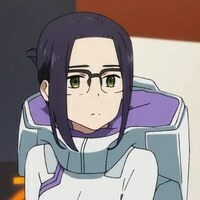 Her FRANXX partner is Futoshi. She has a gentle voice recommended between high and medium. Though he's optimistic and does things at his own pace, he is also surprisingly sensible. He gets along with everyone and has a friendly personality. He is rather stuck up and silently views himself on a pedestal. Recommended between medium and low. A very calm girl who prefers to keep to herself. An avid reader of books who can more often than not be seen with one in-hand. She is rather quiet and composed. She doesn't speak that often but id recommend a Medium Voice for her. 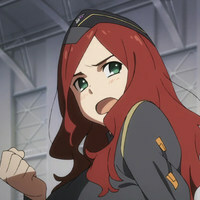 Nana is shown to be a very likable person. Her Parasites were excited to see that she will be in charge of them, as Nana has had known the Parasites before. 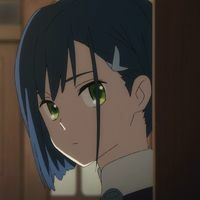 She cares about the Parasites, and gets worried when Ichigo tries to pilot Delphinium all by herself in Episode 2.